If you attended high school in Slaton Texas, you are in the right place! 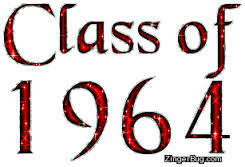 This is the official site for the Slaton High School Class of 1964. This is where details for our upcoming 50-year Reunion will be posted. To begin: Click on the "First Time Visitors" button above and you'll find all you need to know about navigating this website. There's also information about website security. Please take a few minutes to read this page before completing your profile. If you have any questions , don't hesitate to click the "Contact Us" button on the sidebar to ask. Once you've registered, you can upload pictures old and new and tell us stories we may or may not remember. In any case, we'd love for you to share your memories and we'll share ours. We ALL have stories and what better time to tell them than NOW? Find your name on the list using the “Classmate Profiles” button above and register. If you don’t find your name – no worries, click the “Contact Us” button and let us know. Check back in a day or so for your name. After you’ve joined, please help us locate missing classmates and get the word out to the others. You (that means YOU) know a name, email, address or phone number of someone that’s not on our list , so please share it with us so no one will miss out on all this fun. We have opened this website for friends and family of classmates to join as guests. If you'd like to join as a guest, contact us and let us know your connection to our class.